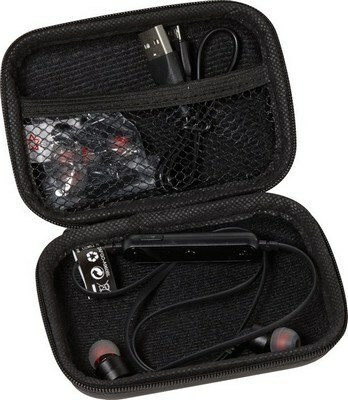 These customized Zen Bluetooth Earbuds Headphones come with a choice of three different sized ear cushions. Help the recipient listen to their favorite music, wherever they are and whenever they please, with the Zen Bluetooth Earbuds. It features a flexible, lightweight, tangle free headband that easily wraps around your head for maximum comfort. It can also be conveniently stored in your pockets and bags. 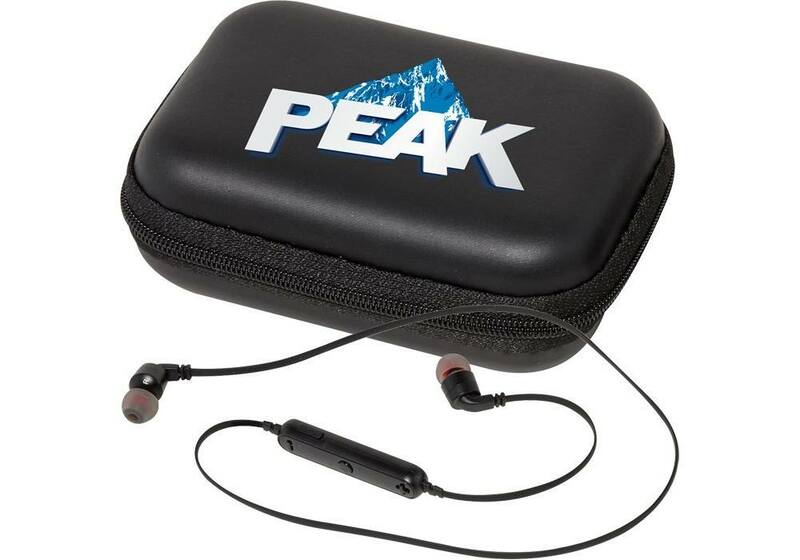 The earbuds come with a choice of three different sized ear cushions that ensure a secure and comfortable fit, when you’re on the move. They also feature a built-in microphone/controller to answer/end phone calls, play/stop your music, and even forward or go back to a song. You can pair your earbuds with two Bluetooth enabled devices at the same time. The kit also includes a micro USB cable for recharging, a cable clip, and an instruction manual, all contained in a sturdy EVA case. 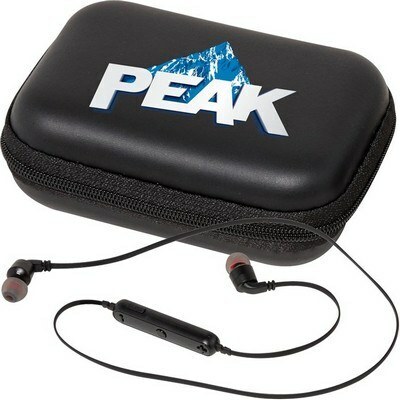 Add your company’s logo and message to the earbuds and promote your business in every step of the way.